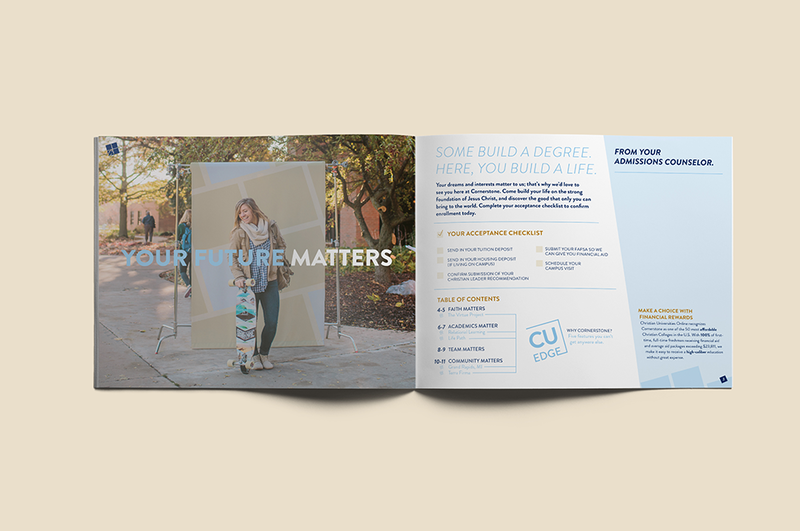 Cornerstone University urges students to “Build a Life That Matters.” In this campaign, we sought to bring that idea to life by showing what matters to Cornerstone and its students. 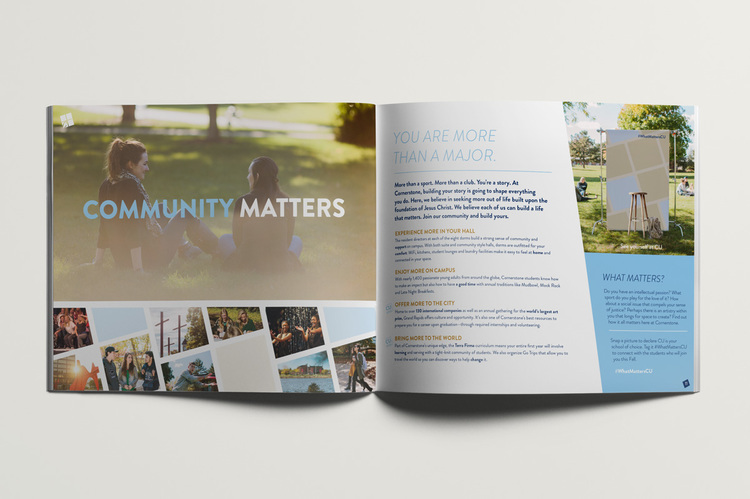 In addition to helping each student story resonate, I spent a lot of time perfecting the voice of this campaign—it needed detail and confidence without being too dry or too arrogant. In the end, I returned to a lot of the emotion and exploration that made my own college experience so rich. I saw that same energy emanating from so many of the professors and students at Cornerstone. 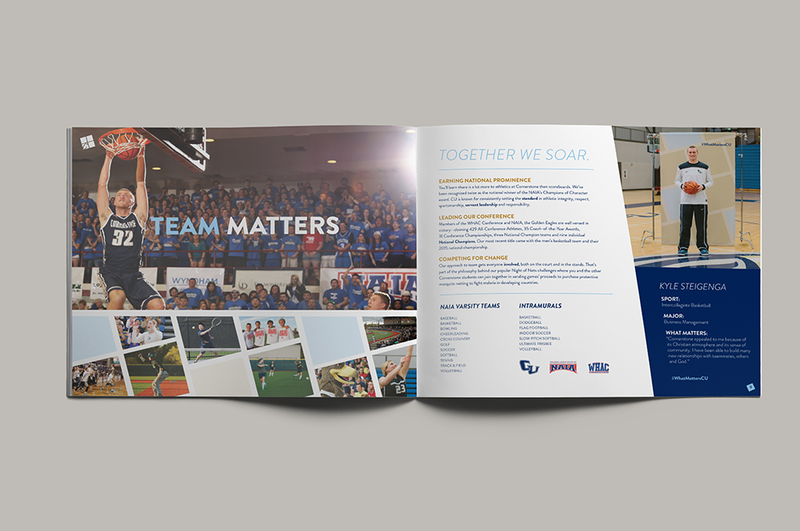 That tone electrified the entire internal marketing team and drove the rest of our work for Undergraduate Admissions forward. 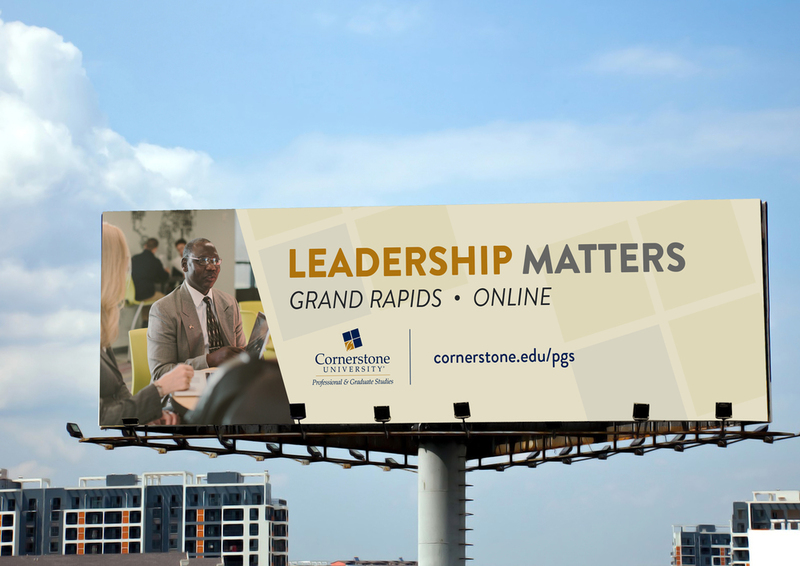 From there, we went on to create a set of materials that could funnel adults into Cornerstone’s Adult and Graduate Studies program—from billboards to a viewbook and library of photography assets for the future. 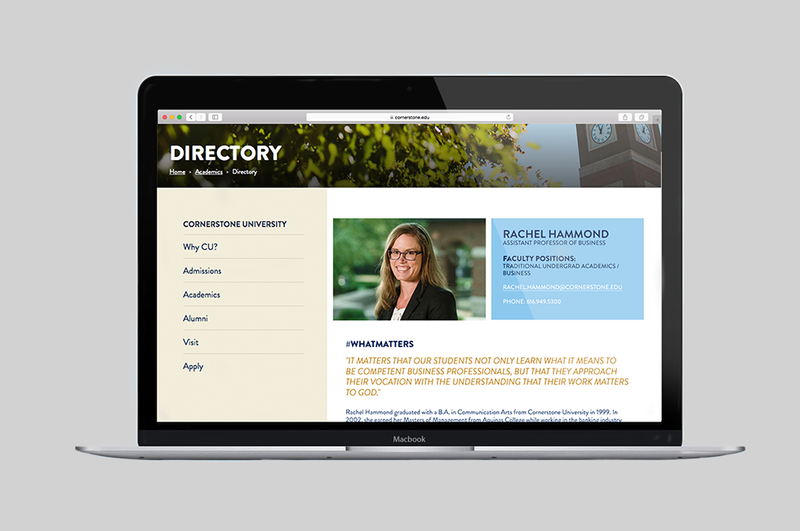 When it was time to redesign the college website, the college was so pleased with the tone of copy I had established for the brand that I was asked to rewrite the content for all main and secondary pages of the site and to create a writing guide for tertiary copy to be implemented by the Cornerstone team. The result is a comprehensive and well-aligned recruitment effort resonating with students through every platform.